Last November marked forty two years since 350,000 Moroccans crossed into the Western Sahara as part of the staged manipulation called “Green March.” November 6 is a dark day for the Saharawi people, because it epitomises Morocco’s illegal military invasion and partial occupation of Western Sahara. With Francisco Franco on his deathbed, the Spanish colonial forces that had controlled the territory since 1884 did nothing to resist the annexation. In fact, that time Spanish dictatorship struck a deal to cede control of the territory to Morocco and Mauritania. The “Madrid Accords” between Spain, Morocco and Mauritania deliberately excluded any representatives of the indigenous Saharawi people of Western Sahara – in the best fashion of neo-colonialism. 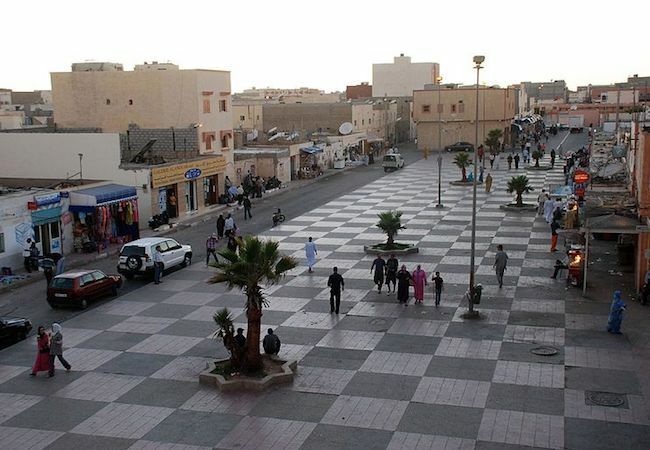 Mauritania later relinquished its claim – applauded by all progressive word. However, Morocco has continued legacy of Dictator Franco and its occupation in defiance of international law and the world community calls ever since. Western Sahara is divided by a 2,700 kilometers of sand “berm” that is littered with landmines and manned by tens of thousands of Moroccan troops. The landmines, in direct contravention of the Ottawa Treaty on anti-personnel mines, pose daily risks and dangers to the lives of the Saharawi population and their livestock in the liberated area of the territory. Those under occupation are denied basic human rights and freedoms; they are discriminated against and are frequently subject to arbitrary arrest, intimidation, detainment and torture. These areas are – by many independent accounts – some of the worst on planet earth. Those living in the refugee camps are exiled from their homeland – all that for decades, with new generations born under the refugee tends. The precariousness of this situation was highlighted recently when severe flooding destroyed the camps and created a major humanitarian disaster. For over 25 years the UN Security Council has had the responsibility to facilitate a referendum on self-determination in accordance with the mandate of the UN peacekeeping mission in Western Sahara, tellingly called the United Nations Mission on the Referendum in Western Sahara (MINURSO). But France and few otherr P-5 (permanent members) of the Security Council have failed to live up to this obligation by acquiescing to, or in some cases assisting with, Moroccan obstruction of the negotiating process. In the context of this stalemate, it is incumbent upon the UN Secretary-General to point the finger at Morocco and acknowledge that it is the reason why the UN’s efforts to resolve the conflict have ground to a halt. As a first step the UN Secretary-General must follow through on his promise to visit Western Sahara. This would at least send a signal to the Saharawi people that the UN is serious about resolving the conflict. Unfortunately, what we are witnessing this mid March is again a bogus Dakhla Forum. This new form of “Green March” brings stashes of naïve officials and manipulated spectators – all free of charge. This ‘summit’ in the centar of Concentration Camp has no deliberations, directional agenda or substantive brainstorming. It is rather a showoff, pathetic one. This lavish pampering of (mostly purely informed and misused) visitors in Potemkin Village of brutally enslaved and tortured Dakhla has only one aim – to desperately try to legitimize this unjust occupation. Regrettably, some of the delegates are either European National (MP) or EU parliamentarians (MEP) who are taking perDiams (rather incorrectly) from their taxpayers – besides being fully covered by Morocco with a business class travel and the first class accommodation for themselves and for their spouses. Finally, nobody in the EU approved MPs or MEPs to participate at dubious political whitewashing events contrary to their constituencies’ official line – even charging their taxpayers for the non-existing costs.